Private Guitar tutoring lessons Oakhurst, OK. I've been a full time professional musician for 13+ years and have toured all over the world performing with music icons like Chacka Khan, Beyonce, and many more. I have a lot of experience with many different styles of music and I love sharing this gift with anyone who's interested. My teaching philosophy is simple: Get students playing music! It's much easier to understand the nuts and bolts of music when put into the context of the music you like. I like to design a lesson plan for each individual student. The first lesson will begin with a basic assessment of skill level. We will discuss goals for the lessons then get down to work! 1 Technique. the proper physicality to increase dexterity and avoid injury. 3 Ear-training/pitch recognition. Strengthening the ability to "pick up" new material more quickly and translate ones Ideas to the instrument. 4 Music appreciation/Musicality. Listening to new and different types of music focusing on the different elements that make up a great performer/performance. Aaron knows how to work with kids. After 30 minutes my 6 yo came out confident and ready to play!! He doesn’t realize that he still is terrible because he at least knows one chord!! Lol! Very helpful and informative instruction. Great instructor. Aaron came to my house which made it easy for me. The hour always went by very fast and we had a great time! "Experienced guitar teacher of over 20 years available for students of all experience levels and ages! I structure my lessons so students learn what they want to learn, while also building a strong foundation of music theory. I have written 6 Levels which have been modified over the years and produce results quickly. All material used to teach with is in pdf form and is easily explained. My goal is for you to be the best you can be. Versatile performer, recording artist and teacher in private lessons for over 20 years. A musical journeyman from the Boston area and a resident for the past 10 years in Raleigh, NC, Rob's unique, eclectic playing style and tailored-to-your-needs teaching approach have been a proven success. Rob studied with Berklee graduate Paul DiBartolo (Spread Eagle/MCA Records) and guitar extraordinaire Gary Hoey (Wazoo Music Group) also Berklee Professor's Jon Finn and Joe Stump. This lead to the Summer Performance Program at Berklee College of Music and was entitled a Certificate of Completion on August 8th, 2003. Incredibly knowledgeable in physical techniques required for guitar; He is a master of all the subjective hands-on knowledge you can't learn from a video or a book, like individual hand/wrist placement, strength building, muscle memory, string bending. His curriculum is excellent for developing the raw ability to play as desired. We initially did lessons in person then transitioned to Skype once I moved away. I found no difference between in-person or Skype. Before I became a student under my teacher, I thought that my previous teacher was good. However, looking back, my first teacher (Not Robert Grant), was horrible. The one distinct difference between many of the casual guitar teachers and Robert is that he has a great curriculum for teaching kids and adults the proper techniques, different styles, and practices for playing the guitar. I remember on the first lesson, he immediately commented my wrong form for my picking hand. Since then he has assisted me in correcting bad technique, pursuing my strengths and passions, and expanding my knowledge in music theory, both specific for guitar and for music in general. His curriculum is equal if not better than many college courses for music(classical, jazz, etc. courses). I have been with him for 3-4 years now and I find myself greatly improved from when I first started. I would recommend going to Robert if you want to seriously learn how to play the guitar with a brilliantly structured course. I've been playing guitar for 28 years and Robert has done more to advance my playing in the last 5 months than anything else I've done over that time. Whether online or in person, Robert has a great mix of laid back attitude with a task-master's approach; he encourages his students to have fun with the guitar, but to take it and their work with it seriously. In a really short time, I've picked up a wealth of music theory and my technique has improved dramatically. Most importantly, I'm having more fun playing than I have in years. I can't recommend Robert highly enough. I have taught guitar lessons for over 15 years. Learn the basic hand positioning, technique and chords. I think it’s important to learn songs that are simple and move to more advanced songs along the way. I can teach you how to read notes for guitar, along with understanding the fret board in a simple fun and easy way. 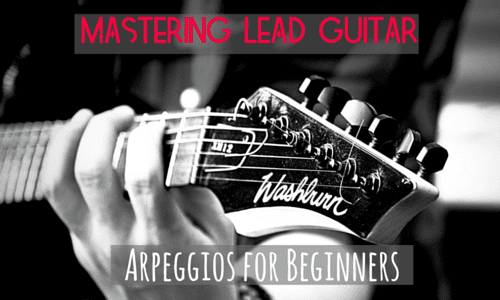 If soloing is what you want I can show you how to get into learning the modes and scale patterns with ease. I try to get students to develop their own style and uniqueness to the instrument. I am an experienced teacher who has played this instrument for 15 years. I received a few guitar lessons when I was younger and developed my skills through years of experience of practice. I continued to grow in my knowledge of chord structure and music theory as I played in various groups and contexts. Because of all this, lessons can be more tailored and adapt to the student easier than if I learned from a book and teach from a book. Potential results from lessons with me include the ability to play diverse strumming patterns, a deep knowledge of music theory, the ability to write songs without feeling cliche, etc. My goal is for you to meet yours! I am a singer, guitarist, songwriter, and recording artist. I have played music, specifically guitar, for the last 15 years. I specialize more in music theory, dynamics, and expression when playing. Students can expect to improve week to week in their knowledge of theory technique, strumming, knowledge of their guitar and chords. Every person is unique in their style, and depending on the goals and preference of the student- the lessons can take various shapes and feels. With songwriting, having recorded a small worship album and lead many local cohorts to introduce new, vibrant, and truthful congregational worship songs- I am able to enable the student to find a potential avenue in songwriting and leading a band. y hope is to help you become most comfortable within your instrument and thus posses the freedom to have fun when you play! "Carl is a wonderful teacher. We covered a lot of ground in my first lesson, but at a pace that was comfortable for me. Looking forward to the next lesson!" "Carl really knows his stuff!"